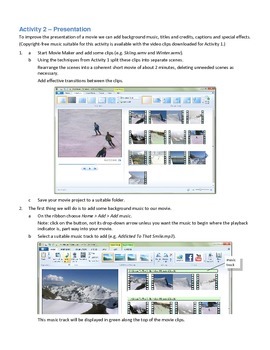 Windows Live Movie Maker is a free, simple to use, video-editing program from Microsoft. 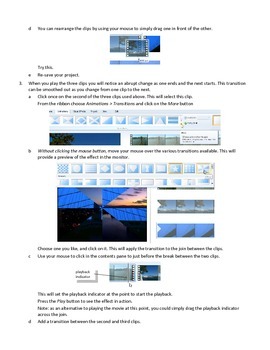 It comes with Windows 7 or can be downloaded as part of Windows Essentials 2012. 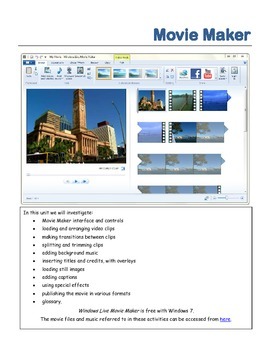 In these activities we investigate: the Movie Maker interface and controls, loading and arranging video clips, making transitions between clips, splitting and trimming clips, adding background music, inserting titles and credits, including with overlays, loading still images, adding captions, using special effects, and publishing the movie in various formats. 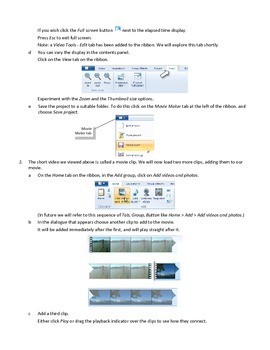 All video files required for the activities are available as a free download through a link at the bottom of the title page.